When you embark on a cruise or travel abroad, the last thing you want to think about is getting injured or becoming seriously ill—and in most cases—you never will. But what if you (or a family member) is unexpectedly faced with this situation? Would you be prepared to handle the expenses? 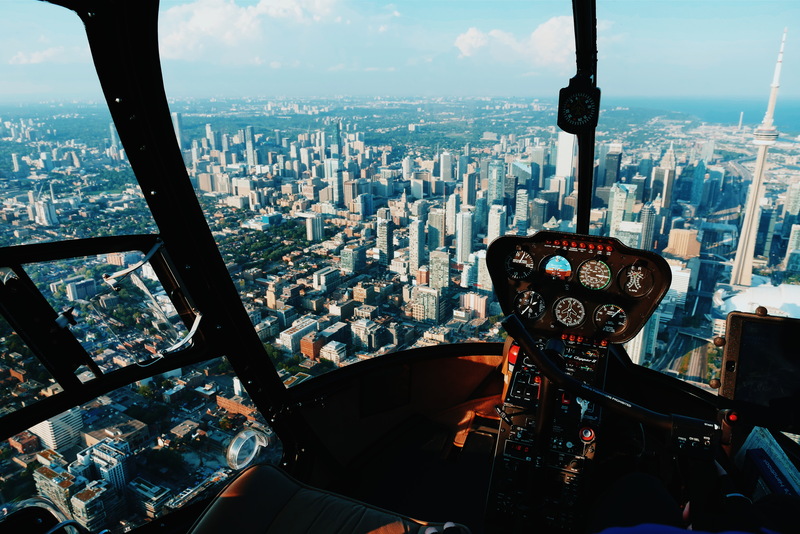 If you require an emergency medical evacuation to a hospital back home or to another location, the costs could run you upwards of $10,000 (typical cost within the U.S.), and if you are in a remote area, costs can escalate to $100,000 or more. Having coverage for a medical evacuation is something to think about whether you are traveling in the U.S. or abroad. Without it, you could experience financial hardship, receive substandard medical treatment, or be forced to spend your recovery in an unfamiliar environment. Many U.S. health insurance providers will cover what they deem as “customary and reasonable” expenses for medical costs abroad, but very few cover an emergency medical evacuation. They may also require you to use specified doctors and hospitals that may not be in close proximity to where you are staying. Medicare does not cover medical expenses outside the U.S.
What Happens if a Serious Illness/Injury Occurs on a Cruise Ship? If a person has a life-threatening illness or injury while aboard a cruise ship, the ship’s doctor may recommend the person be airlifted to the nearest hospital. If the ship is in U.S. waters, the Coast Guard would be called upon to perform the evacuation (at no cost to the injured/ill person). If the ship is outside U.S. waters, or if the person will be transported to a hospital at the nearest port of call, then another medical evacuation service would be required. The cost could end up being $25,000 or more. Closed-looped cruises that start and finish in the same U.S. port–with travels to Mexico, Canada, the Caribbean, and Bermuda–do not require a passport. However, even though a passport is not required, it is highly recommended that you travel with one. If you have to disembark in a foreign country due to an illness or injury (or other reasons), a passport will be required to fly or take a ferry back home. If you do not have a passport, you will need to request a temporary one for reentry into the U.S. This could delay your return by a few days or so. Does your policy cover emergency medical treatment by a foreign hospital? Are there stipulations on what medical facilities or doctors are covered under your plan when traveling abroad or within the U.S.? Are you covered for emergency medical evacuation when traveling abroad or within the U.S.? Ask if they offer a supplemental travel medical insurance plan that you can purchase prior to traveling abroad. The supplemental coverage would then be secondary to your health insurance plan. For example, Blue Cross Blue Shield offers a travel supplemental plan called GeoBlue. Find out how payments to medical care providers abroad will be handled You may have to cover the costs up front and get reimbursed later. Are you covered for high-risk activities such as parasailing, mountain climbing, scuba diving, or off-roading? Check to see if these activities are covered with travel medical insurance providers as well. You may have to pay more to have coverage. Is pre-authorization or a second opinion required before emergency treatment can begin? Travel medical insurance is a policy that can be purchased for an individual trip (or for several trips) that covers expenses your health insurance plan does not. If your insurance policy does not cover you abroad, then it becomes your primary insurance. Many offer emergency medical evacuation. Find out what the stipulations are. Some may only transport you to the nearest medical facility. Foreign hospitals and physicians require payment in cash before services are rendered. Many travel medical insurance companies offer direct billing if the medical facility is one of their contracted members. You would be responsible for the deductible at the time of service. If direct billing is not an option, be aware that you may have to pay the costs up front and get reimbursed (usually within 7 to 10 days). If you do not have proper coverage or cannot guarantee payment, you may be refused medical treatment when traveling abroad (and in the U.S.). With travel medical insurance, you will receive foreign-language interpretation if the medical providers do not speak English. The travel medical insurance companies employ medical personnel (available 24/7) who can assist you in finding the closest reputable medical facility in a foreign country. They will be in communication with the treating physician to discuss your condition and treatment plans. Not all emergency medical evacuation services are equal, so it is important to determine which service provider would be best for your needs. A medical evacuation is based on your condition and location. The attending physician and the medical advisor of the insurance company will determine if an evacuation is required. You may not have the option of being transferred to a facility back home. If the closest facility is inadequate, you may get transferred to another reputable one. The evacuation is set up by the insurance company. It may be via a commercial airline, ground ambulance, or an air ambulance transfer. Find out if the travel insurance provider will cover the cost of airfare for those accompanying the injured/ill person to the medical facility. Some policies may offer a ‘hospital of choice’ benefit. Even though it allows you to make a decision as to what hospital you want to be transferred to, it does not guarantee that you will automatically be transported to a hospital close to home. You may be transferred to the closest hospital to the location you are at, and then when your life is no longer in danger, they may transfer you to a facility back home. Arranging medical transportation from basically anywhere in the world. Their medical personnel monitors your condition with the attending physician. Providing an avenue for communication with family members and business associates back home. Some companies may offer you the option of including medical expenses, travel security, and crisis response for an additional membership fee. The medical expenses may be a cash advance for emergency medical treatment that you would need to repay. They may provide evacuation to a safe location in the event of political unrest. Before purchasing travel medical insurance or emergency medical evacuation coverage, check the fine print to see what is covered and be sure to find a reputable company. To compare the costs of several companies and to get a description of coverage options, check out Insure My Trip. If you are interested in checking out the ratings of the insurance companies, you can do so at A.M. Best Company. As a clarification, this article refers to travel medical insurance and evacuation. There is also travel insurance available that will cover such things as trip cancellation or delays, lost or stolen luggage, and more. Very informative. Many things I did not think of when traveling. Thank you for writing this book for those who travel. Very helpful.